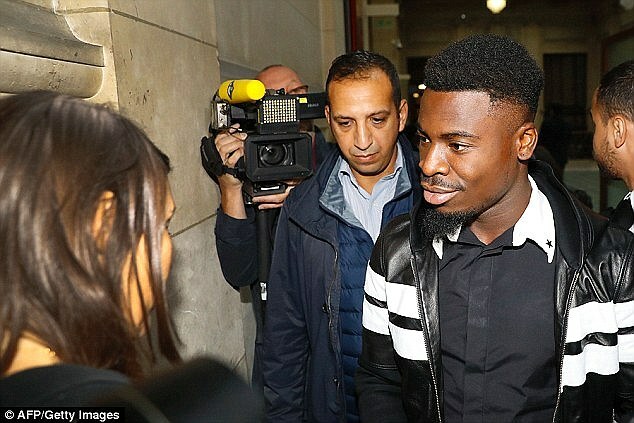 Aurier BANNED from entering UK! 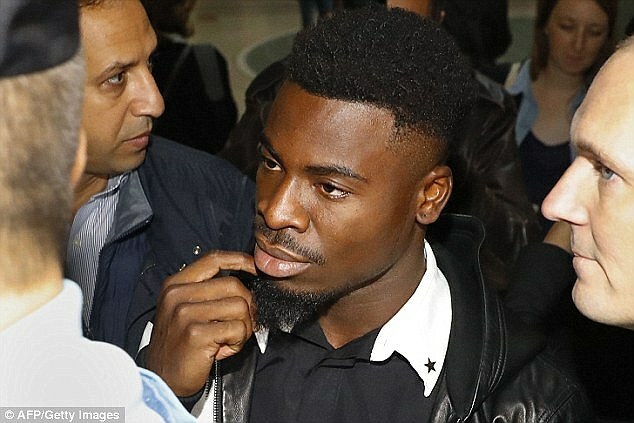 Serge Aurier will not be available to play against Arsenal on Wednesday night, after the UK refused the PSG full-back a visa to enter the country. Aurier was found guilty of elbowing a police officer in September, and sentenced to two months in prison, but is still a free man pending his appeal. PSG said in a statement on Tuesday that the Home Office had originally granted him a visa, only for officials to change their minds last week. WHAT ARE THE HOME OFFICE GUIDELINES? 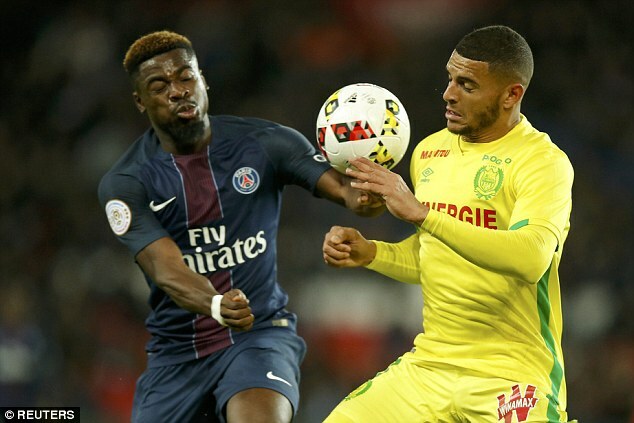 Despite several appeals the Ivorian defender, who created the French side’s goal in their meeting with Arsenal earlier this season, will not be permitted to travel. The French club insisted in their statement that the player ‘is entitled to the presumption of innocence’ while his appeal is ongoing and ‘strongly regrets’ the decision. They also claim that they have had support from UEFA, and criticised the UK government’s decision not to inform them of the decision until the afternoon before the game. Aurier’s conviction came when he elbowed an officer after he was pulled over on the side of the road outside a nightclub in May and asked to take a breath test. Police said the altercation took place shortly before dawn after Aurier left a club in the Champs Elysees area of Paris. However, Aurier contested the findings. ‘We’re appealing. Mr Aurier contests the findings. He’s not guilty and must be acquitted,’ lawyer Claire Boutard de la Combe told reporters after the trial. The former Lens and Toulouse defender told French television in June: ‘It was violent. The police officers got out of the car, insulted me, brutalised me, my lip was smashed. ‘What’s even worse is that the police officer said I had elbowed him in the thorax. ‘If I wanted to touch him, I would have punched him in the face. He did though, strike me several times in the face. 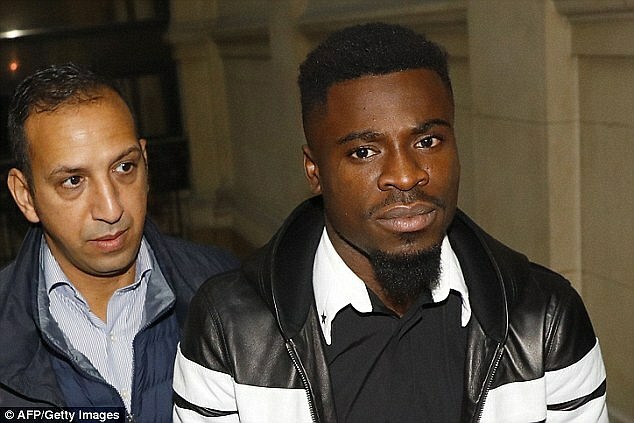 Aurier’s brush with trouble is the latest incident to blight his career in the French capital. He was suspended earlier this year after making derogatory comments about the then PSG coach Laurent Blanc. He subsequently apologised for his actions, saying: ‘I made a big mistake. I am here to say sorry to the coach, the club and my team-mates, and to the supporters because they are the most important people. ‘We reserve the right to refuse a visa to anyone who is convicted of criminal offences. ‘Mr Aurier received a two month custodial sentence in September for assaulting a police officer. ‘The immigration rules clearly state that non-EU nationals who have received a custodial sentence of less than 12 months within the last five years will be refused on criminality grounds. 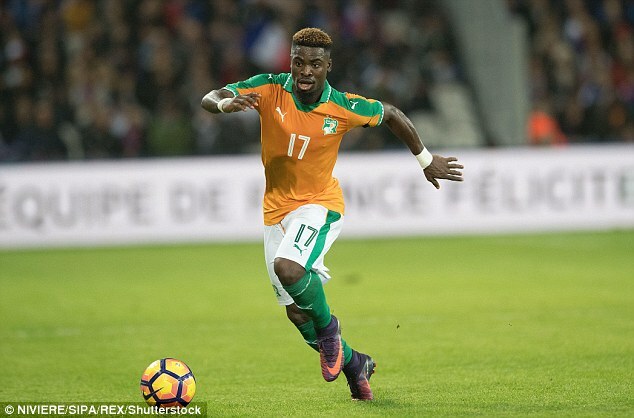 After an initial application on 18 October, complete with all the necessary documents, the British authorities had originally granted Paris Saint-Germain’s Ivory Coast international an entry visa to the UK on 21 October. 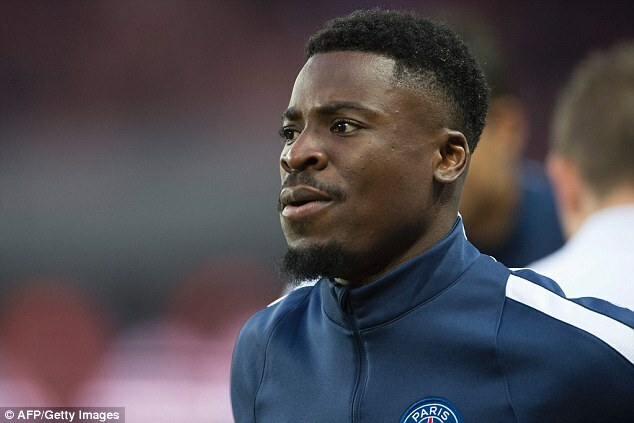 Paris Saint-Germain had, in all transparency, informed the British authorities of this conviction, as well as Aurier’s appeal against this decision (and the legal suspension of the ruling) from the outset. The club has argued several times that since the player has launched a legal appeal against the criminal ruling, he is therefore entitled to the presumption of innocence, as any other person exercising their right to appeal. Paris Saint-Germain strongly regrets that the presumption of innocence has not influenced Britain’s decision. On several occasions, UEFA has also transmitted its total support of Paris Saint-Germain to the British authorities regarding this case, in order to preserve the integrity of its competitions. The club also deplores that the final decision of the British authorities was only communicated at 14:00 CET on Tuesday, despite the club working for the last six days to find a solution to enable our player to travel with his teammates to London. Paris Saint-Germain considers this extremely tardive response as a flagrant lack of respect for the club, given that its player could have been training with the team just hours later at Emirates Stadium. In the face of this decision, albeit difficult to understand in respect to European law, Paris Saint-Germain, who had planned to travel to London with its strongest possible squad, invites its fans to be more united than ever, in support of their club.